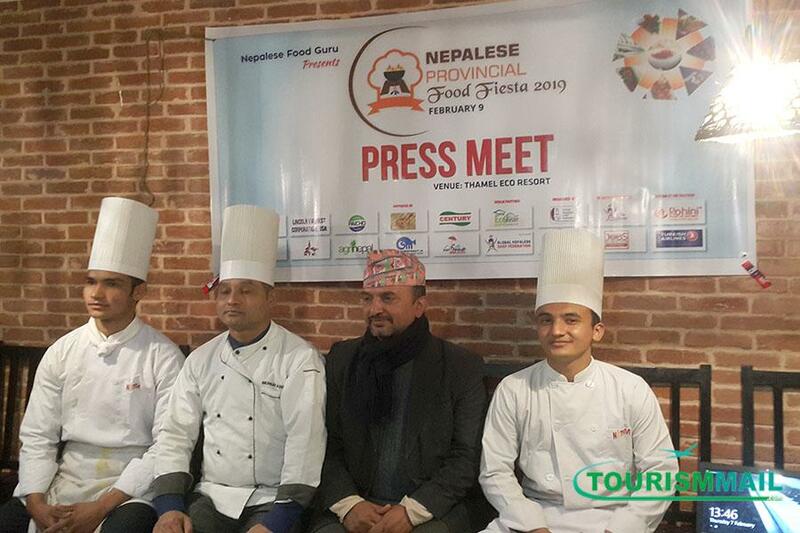 KATHMANDU, Feb 07: Nepalese Provincial food fiesta 2019 campaign is going to be conducted from 9th February in 7 states of Nepal. This festival is supported by Global Nepalese Federation, GNCF chapter America Lincon Everest Corporation USA and Nepalese Worldwide Chef Association USA to promote Nepali cuisine and Nepalese culture in 5 continents of the world. Government has announced Visit Nepal 2020 campaign in year 2020. In this campaign the government has targeted to invite 2 million tourists in Nepal and for that the promotional activities has already been carried out. This campaign is a great platform for not only government to expose our country but also it is the responsibility of each and every citizens to contribute in making this event a huge success. Nepalese cuisine can play great role in inviting tourists with out unique taste of foods. We can invite tourists from China, Thailand, Japan and many other countries. Nepal is a country of diverse culture, religion, tradition and language and each of them have different unique identity so with the help of Nepalese cuisine we can attract tourist from various countries.